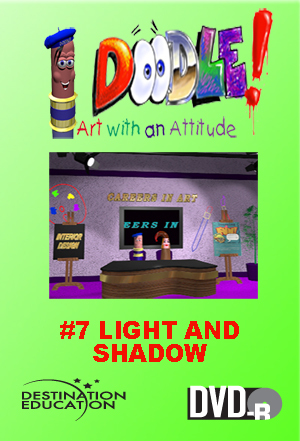 Children will gain an understanding of how light and shadows influence objects and how to reproduce this effect when drawing from a still-life. Doodle teaches the importance of values as children get a chance to practice using a variety of tones in their artwork. A special guest artist, Daniel Moore, explains the techniques he uses in creating photo-realistic paintings.